So when a girl (Kelly Bylsma) gets married to an incredible man (Brad Mathews) and decides she wants to take his name and form a little family, it sounds so beautiful and romantic and fantastic. And the marriage part and the little family part is! But then the girl realizes changing her name involves so much more than just practicing her signature over and over again…. 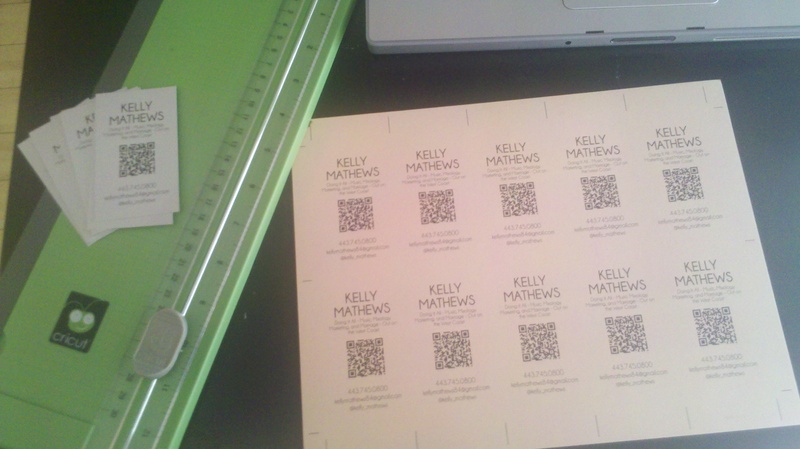 Along with my social security card, drivers license, cable bill, tax forms, work information and bank accounts, I realized today (almost six months after becoming Kelly Mathews) that I also had to change my name on my business cards. Anyway, so this week I am attending six events put on by “Social Media Week: Los Angeles“. With the internship I’ve been doing over at Mixtape Media hopefully progressing into a paying job in the next few weeks, I am super excited to get out there and learn as much as I can about the Social Media world. I am also excited to meet a lot of new people in this big city who are excited about the same things I am excited about. And since this is a huge networking opportunity, I went looking for the most appropriate business cards to hand out. Turns out Kelly Bylsma has a lot of business cards. 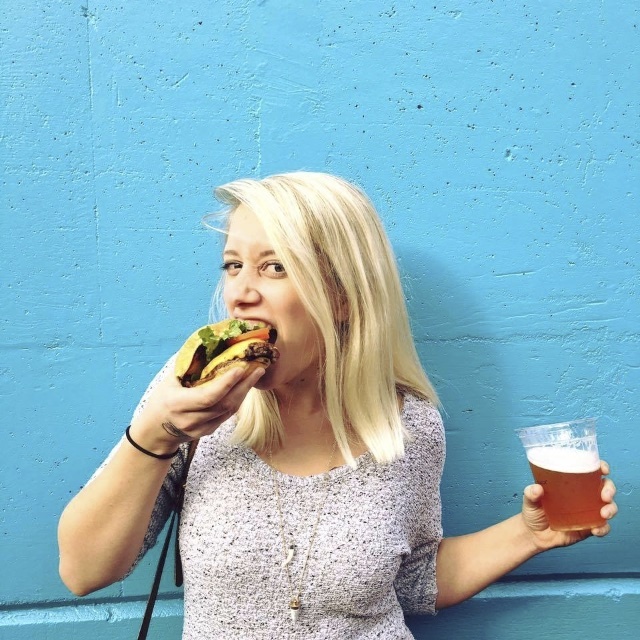 Kelly Mathews has zero. 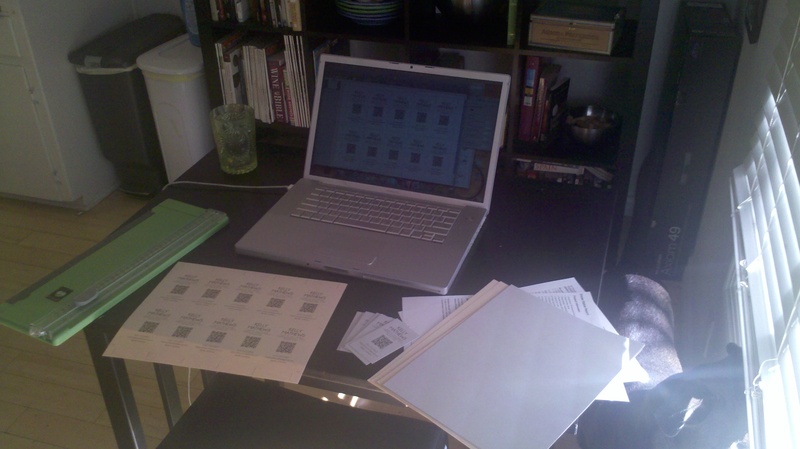 So I set out to change that today with my Mac’s handy Pages application, some leftover wedding cardstock, and my trusty paper cutter. And since now I am in the social media savvy world, I decided to throw in a little QR code just to switch it up a little. 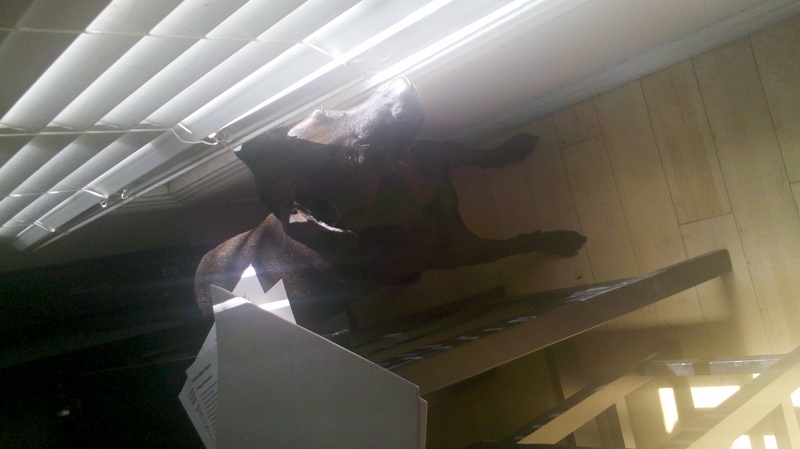 Gibson even helped by keeping watch out the window to make sure no invaders came in to steal my creative juices. Thanks, Gibs. 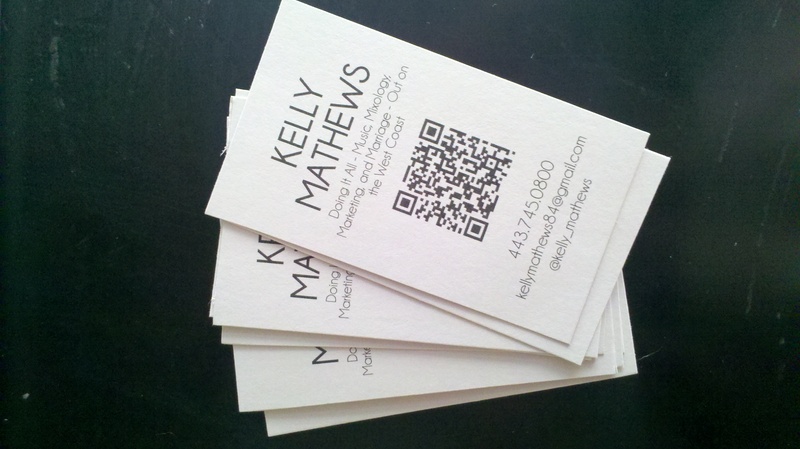 And now Kelly Mathews has her first business cards!